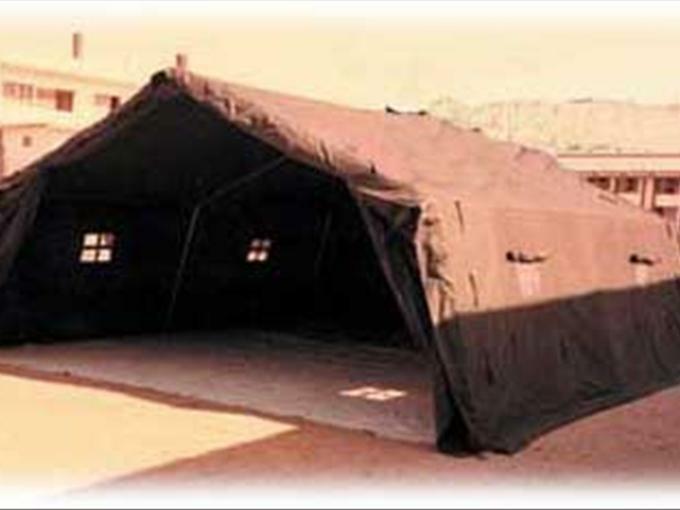 Army Frame tent, Supplied to African Armed Forces. This is a multi - purpose tent suitable forworkshops, field hospital. Provides unobstructed floor space. Made from Cotton Canvas Waterproof 500 gms per square meter natural white or olive green. Rotproof and waterproof. Complete with metal poles, iron pegs and a carrying bag. Optional Grounsheet to fit tent.